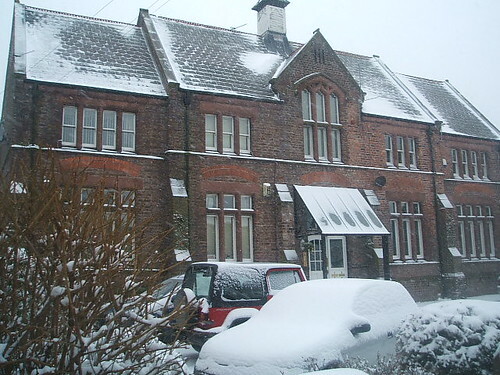 This is the oldest elementary school in Lancashire which is obviously now Merseyside,it's by Camp Hill. I'll have to do another bike ride up to Woolton. Best place in Liverpool to go around. I mostly just go to the Tesco and back since theirs barely any lines . Most of them go to the Allerton one. Last edited by Kev; 10-28-2006 at 04:57 PM. Whats the building behind the Beaufort street one? Not sure if you mean what sort of building or the name, but it's a block of flats near Park Street - don't know what it was called. That is Chatsworth St and that is Entwistle Heights, a nice building, which has been blown down. the name, but it's a block of flats near Park Street - don't know what it was called. The block near Park St, on Mill St, is Mill View. Entwistle Heights, a nice building, which has been blown down. smackheads. Thats my experience of one tower block in Everton but I'm quite sure it was consistent throughout the city. school board or education authority, other schools were contolled by churches. authority, other schools were contolled by churches. All the tower blocks of the 1960s were owned by the Council. Kirkby, but didn't take it, & I've never lived in one. The B & W photo is Chatsworth Street (I got it wrong) and that is Entwistle Heights. is in 1986, just before it was demolished. I know this thread is about schools. Garsefield Rd? I believe it's now an old folks home. It's near Broadway. used as a school anymore. I did a Google search for gateacre school (2 separate words). Google search for gateacre school (2 separate words). I don't know Gateacre - I don't think they'd let me in! Do u know what has happened to paperwork etc? It's Liverpool's oldest school building isn't it? were salvaging. It was night time when I actually went inside, and it was a bit bare and stripped out, nothing much of interest there. Thanks for the school pic. that was my first school. because I had tourists ask me about it when I was on the cabs. shame if it was wasted,probably one of the few remaining examples of a one room school. and is the oldest in the City Centre. It's listed, and I assume the name is part of the criteria (but I could be wrong). wouldn't look right without it. it would be a shame if it was wasted,probably one of the few remaining examples of a one room school. Hmm, nice? Was it a council tower? Why? Mosty liked it. All it needed was a consierge, like in France and Spain. filled with smackheads. Thats my experience of one tower block in Everton but I'm quite sure it was consistent throughout the city. street they are superb. And they put the wrong people in them. Those who misbehaved should have been evicted. We were always allowed packet of crisps at first break time. I visited a friend there for many years. filthy and stunk of wee ! the lift on the wrong floor one time and stepping out into pitch blackness .. and the wind was howling down the corridor - scary ! broken and dirty. Quite an intimidating place actually. you needed anything from the shop. There was a little community hall on the ground floor at one time. They'd have meetings or a game of Bingo and suchlike. street and vandalise the place. for my exploration website. Does anyone have any information/memories of the place they wouldn't mind me quoting? Wavertree CE School was built in 1867 and is still in use. It was formerly Trinity District School. As the school is 140 years old this year we are trying to collect together any photos or memories that people may have of the school in the past. 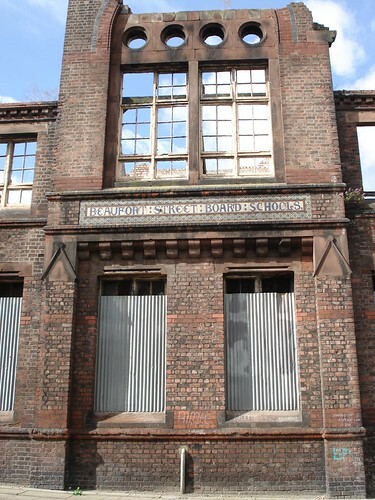 This school, together with St. John's, Fountains Road, Kirkdale and Bishop Goss, Grosvenor Street were built around the same time, same red brickwork and a playground on the roof as well as the street level one etc. I was told that Wellington Road School was just ready for opening when the First World War broke out, so it was first used as a Military Hospital. Mrs Roberts, who was the School Secretary there in the 1960s told me, but I've never seen it written anywhere. (Apart from toxteth.net and they got the info from me. Like other pieces on there, the one about the school comes from about 3 different people. Only the first 2 paragraphs are mine). Last edited by PhilipG; 05-08-2007 at 11:37 AM.